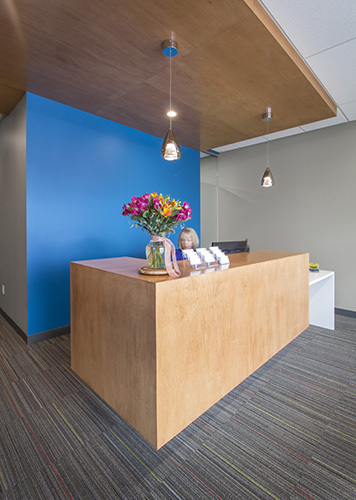 The Johnson Turner Legal space is a tenant build-out within an existing business development. The former use was mercantile. The current office space includes six private offices, two conference spaces, a kitchen/work room and a reception area for use by this growing and dynamic law firm. Special attention was paid to privacy, security, and acoustic concerns due to the sensitive nature of client work.